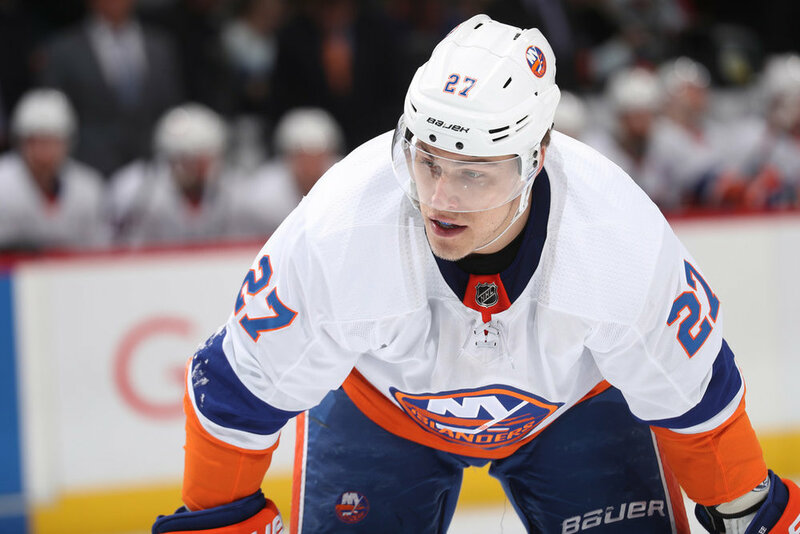 The New York Islanders and sniper Anders Lee have had recent discussions about a long-term contract extension, reports TFP Editor-in-Chief David Pagnotta. Lee, 28, is in the final year of his current four-year contract, which comes with a $3.75 million salary cap hit. If he goes unsigned by July 1, 2019, he can become an unrestricted free agent. Lee’s agent, Neil Sheehy, has engaged in talks with Islanders GM Lou Lamoriello about a new deal, though an extension is not yet believed to be imminent. Forwards Brock Nelson and Jordan Eberle are also in the final year of their respective deals, though contract talks are not ongoing with either player, and they’re not expected to pick up until midway through the season, at the earliest. Lee scored 40 goals with the Islanders last season, and 34 goals in 2016-17. It’s possible the Islanders decide to wait to see how he produces this season before ramping up contract negotiations. According to multiple sources, Lee could be looking for around $7 million, per season, on a new long-term extension.